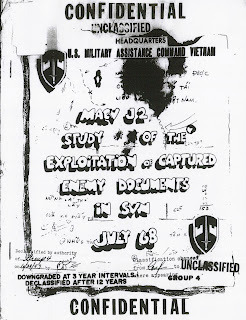 I've uploaded a 1968 U.S. Military Assistance Command Vietnam (MACV) J2 "Study of the Exploitation of Captured Enemy Documents in SVN" (big file) which discusses, in some depth, document exploitation operations in Vietnam by U.S., Vietnamese, and Australian units as well as the work of the Combined Document Exploitation Center (CDEC) in Saigon. 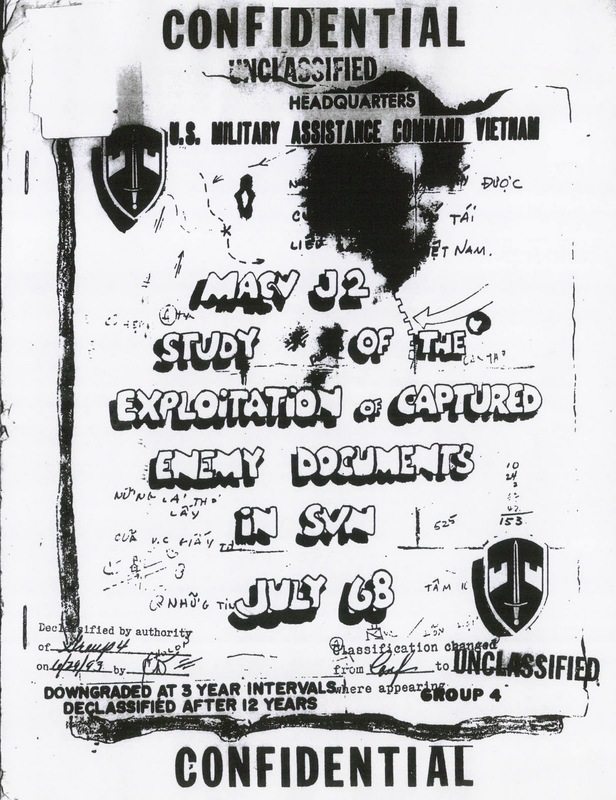 The annexes include examples of captured document reports and translations as well as a "Viet Cong Terminology Glossary." Thanks to the Naval War College library for the ILL.
Other sources of information on Vietnam document exploitation operations can be found at Texas Tech's awesome "Combined Document Exploitation Center Collection Digitization Project" and in the U.S. Army's "Vietnam Studies: The Role of Military Intelligence, 1965-1967" (1994) written by Major General Joseph A. McChristian (see esp. "Combined Document Exploitation" starting at p. 32). Microfilm of documents captured in Vietnam are also, of course, available at the National Archives, Record Group 472 (in particular see 472.3.4). 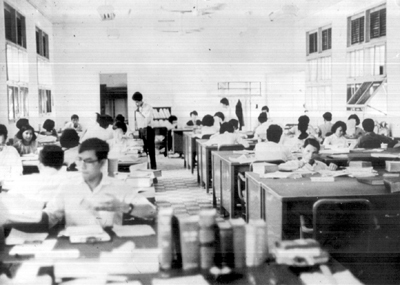 CDEC translators, photo from MG McChristian's Vietnam Study on Military Intelligence.